Sciatic nerve pain is incredibly painful, and sometimes debilitating. Having pain in your back and legs makes it hard to continue with your daily chores and life. It can be awful, and many are unsure of how to help ease such pain. Well, did you know that taking Vitamin C can actually help exponentially? I’ll explain throughout this article, and will even briefly list other ways to help sciatica and sciatic nerve pain. Have you been diagnosed with Sciatica? 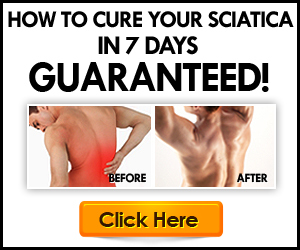 Or are you facing serious pain in your sciatic nerve; lower back, buttocks, and legs? Well, you could have Sciatica and sciatic nerve damage. If so, this can be treated in a few different ways. Sciatica is not necessarily considered a medical diagnosis by itself, as it is usually a symptom of some other larger diagnosis, but it can still be treated and observed. It is pain that comes from the sciatic nerve, which is located largely in the back of each leg. As the sciatic nerve takes up such space, it can cause a lot of pain from the lower back down to the legs. A short list of larger medical diagnosis that cause sciatic pain include, but are not exclusive to: a lumbar herniated disc, spinal stenosis, and degenerative disc disease (DCD). If you have sciatic pain, it would be good to go to the doctor and get checked for any other possible conditions, to be safe. Severe pain in lower back, buttock, and leg. Pain from leg down to foot and toes. Inability to stand up without causing incredible pain. Burning or tingling sensations in one, or both, legs. Weakness and or numbness of one or both legs. It may sound odd; why would Vitamin C be able to help with incredible back pain? Well, you see, Vitamin C actually works as an anti-inflammatory. 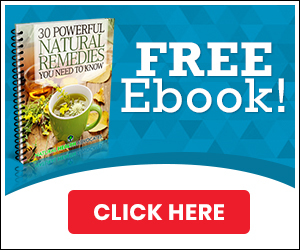 Because of this, it can help ease the inflamed nerve in your back, thus ending, or lessening, the pain caused by it. If you take enough vitamin C consistently, then you could have less pain during the day. It is not a perfect fix, but is a way of ensuring that you have your vitamins as well as easing the tension in your pack and legs. It’s estimated that 25-33% of people are marginally deficient in vitamin C, and up to 20% of some populations are severely deficient. The soils we use to grow our food are not the same as they were just a few decades ago. Nutrient data analysis found that average vitamin C levels in crops reduced by 30 percent from 1975 to 1997, and it’s likely we’ve seen even more depletion in the 20 years since then. To cut costs, many manufacturers source cheap, low quality ingredients that end up being difficult for your body to absorb. Intravenous vitamin C is another option, but costs hundreds of dollars at a time (not to mention the time constraints and the issue of dealing with needles). Where Can You Get INCREDIBLE Vitamin C? PuraTHRIVE uses an all-natural fermentation process to produce a high quality form of vitamin C, L-Ascorbic Acid (which is easier for your body to absorb & use than the synthetic version, D-Ascorbic Acid). To counteract the low pH of Ascorbic Acid and avoid stomach upset, it is buffered with a natural bicarbonate downstream process, allowing the vitamin C to react with natural Potassium Bicarbonate and release CO2. This neutralizes the vitamin C to make it easy to digest & utilize. For the finishing touch, vitamin C is encapsulated into tiny, nano-sized micelles, which are further enveloped in liposomes – healthy fat cells that shield the tiny vitamin C micelles from the hostile environment and absorption barriers found in the human gut and increase bioavailability up to 140X.